I put together a quick project for a friend who was looking for a business card. 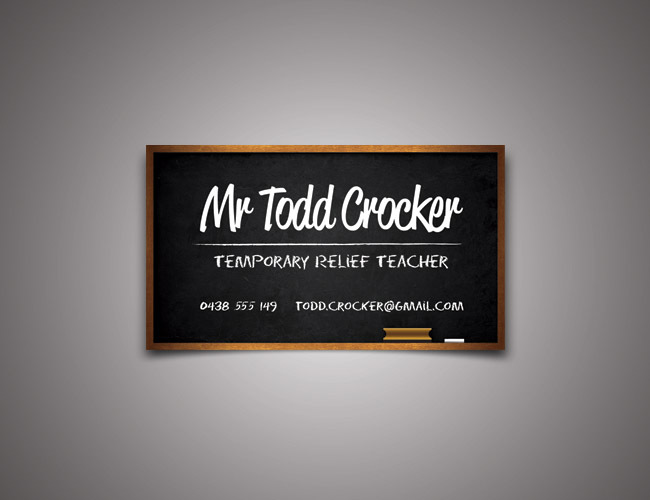 He’s a temporary relief teacher in Adelaide, South Australia. An eye-catching, single-sided business card was required to assist him in standing out from competitors. Lovely idea turning on the ‘Goodbye Mr Chips’ theme. Pity white boards don’t have the same romance, if romance is ever a word that you could, or should, use about a classroom.